Raphaël Bassan and I are sitting at a table for two in a brasserie situated on the Place des Fêtes near Bassan’s house in Paris. It’s an ideal place for us to talk about the history of experimental filmmaking in France and his intense relationship with it. Even though he has written about all kinds of cinema genres, he has been a critic and supporter of the experimental film scene in France since the end of the 1960s. (1) He has also made three short films, Le Départ d’Eurydice (1968), Prétextes (1971) and Lucy en miroir (2003) (2), and written a book of poems, Rites et rituels (poèmes 1966-1972). As an experimental filmmaker myself, I was keen to understand what a film critic had found fascinating in this form of cinema to write about and to support for all these years. After all, it had always been marginal to the mainstream film industry and still remains so today. Through his writing, he is one of the people who are keeping this form alive historically. I also wanted to talk to him about his most recent film, Lucy en miroir, shot over a year between 2002 and ’03. I was very curious to know why he had chosen to work with people, all of whom were part of the new generation of the experimental cinema scene in France. In his film, the two actresses, the actor whose voice we hear but never see, the cinematographer and his assistant were also active experimental filmmakers, critics, distributors and the founders of the experimental film labs established in 1990s. Until not so long ago, I had been making films alone “in my corner” (as they say here in France) – mainly in super 8 and more recently in hybrid forms – but in 2003 I joined the Paris experimental film lab, L’Etna (3), with the desire to explore with others different approaches to experimental filmmaking. At first, the members of the L’Etna lab gathered to screen their films at the home of one of its founders, Hugo Verlinde. By 1998, they found an empty garage in a typical Parisian courtyard near République in the 3rd arrondissement which they completely renovated and equipped to their needs. L’Etna is still in the same location today. This place had for me the atmosphere and all the ingredients of the inspiring French myths and films I loved: the filmmaking tales about avant-garde and underground cinema in the ’60s and ’70s which had inspired me both in my theatre career and filmmaking. Actually, this is how Raphaël Bassan and I met. Two years earlier, one of my experimental films had been shown in a group screening with L’Etna members in the amphitheatre at the Censier Sorbonne University. Even though I had read many of Bassan’s articles and seen him often at screenings of experimental or “different” (as it is also called) cinema here in Paris, I had not really had the occasion to talk with the critic at length before. The story goes that Raphaël Bassan was born in the 1940s in Bulgaria. He came to France with his parents at the age of one. They moved into a house at La place des Fêtes, not far from Belleville. This is still Bassan’s home today. His parents loved films and went to the cinema often. There were quite a few theatres near their home and, as there was no one to take care of the little Raphaël, he accompanied them to the films. Years later, as a young teenager, he spent hours going to films in theatres in the area as well as in Pigalle, Saint-Michel and other places which screened various kinds of films (film fantastique, Nouvelle Vague, commercial films, etc.). He would see any kind of film on offer. Eventually in the ’60s, around the age 16, Raphaël met other cinema lovers who opened up new avenues for him. They took him to screenings where they showed their own “different” independent films in venues that were not always theatres. These were held in amphitheatres, small rooms and cellars. Raphaël had discovered here a new world, a world of personal independent high creativity in filmmaking. This energy and independence suited his nature. By about 1967, an interest in avant-garde cinema began to surface as part of the mix within film culture. Films appeared in different venues such as the American Center for Students on Boulevard Raspail in Paris and at the Cinématheque Française. Filmmakers such as Jean-Luc Godard and Philippe Garrel, and the underground films of Pierre Clémenti in France and Jonas Mekas in the US, were making a statement about a different form of filmmaking. But writings on experimental cinema, as such, hadn’t really started being published until the ’70s in France. Even so, avant-garde thinking was still not exactly widespread. Bassan witnessed the spontaneous growth of a new generation of filmmakers (the Free Cinema in England, the Nouvelle Vague in France, the young film movements in Poland, Brazil, Russia and Japan). He discovered the films from The Film-Makers Cooperative set-up by Mekas in New York in ’62. At the end of the 60’s, these were making waves in France at the Cinématheque, and in England, Germany, The Netherlands and as far as Greece. He became more and more implicated in their evolution and status. The movement in the ’70s of experimental and different filmmaking became a more recognized genre and inspired him to be one of the co-founders of a French co-op called Le Collectif Jeune Cinéma, today known as Le CJC. From an early age you had an avid interest in all types of cinema. I remember the shock I got when I saw Terrence Fisher’s film, The Curse of Frankenstein (1957). This film marked a new era in the fantastic tradition, with blood, colours and sexual trends unknown at that time. That is why this film had such an impression on me. A little later, I began going to the Nouvelle Vague films that started appearing in theatres. Even though the public that went to the two genres was different, I was interested in all genres, horror films, Nouvelle Vague, detective … I must have been about 14 when I began reading as many articles as I could about films. I needed to get an intellectual sense about filmmaking. This is when I thought about critical writing and also writing poetry, looking for my personal style. When did you start making films yourself? After meeting these young cinéphiles who told me that they were both making and screening their own films. I met a young filmmaker at one of these screenings who said she had some old film stock she could give me. 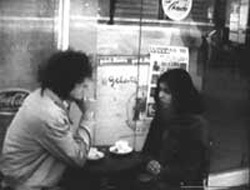 So, in the autumn of 1968, I decided to shoot my short film, Le Départ d’Eurydice, in 16mm black and white with a young woman I had met at school some years before, Michele Samama [now Michele Worth] and Anton Perich (4), who screened avant-garde films at the American Center for Students. A little later, in ’71, I shot another short film, Prétextes, in 16mm and black and white with the same actress. At the time of Le Départ d’Eurydice, I was very much immersed in underground cinema, so I wanted to make this film a kind of poetic metaphor about the atmosphere of that time, a documentary-fiction about the late ’60s, the time when the new French experimental cinema was born and formed. I obeyed the same impulse when I began thinking about my third film, Lucy en miroir. It is also a portrait of a young woman of the end of the ’60s and beginning of the ’70s. Neither of these two films was experimental in form, but really they were in their purposes. Were you writing at that time? Yes, articles about all kinds of cinema that were being shown at the time in theatres and that I continued to go to. I began to publish in magazines in 1970. I became a professional journalist in about 1975. (5) I write for many cinema magazines and also for the daily paper, Libération. You were involved in establishing the Le Collectif Jeune Cinéma [CJC]. I met Marcel Mazé in 1970 and I co-founded the CJC (6) in 1971 with him and other activists such as Noel Burch. 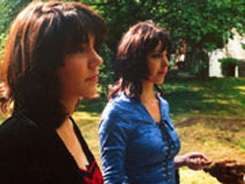 The Collectif Jeune Cinéma was the first French co-op to distribute independent and experimental films. It was modelled on Mekas’ Cooperative in the US. I became completely invested in it for more or less ten years, discovering experimental filmmakers, helping them in the exposure and distribution of their films. I became a committed defender of experimental and different cinema as from this time, writing about it as often as I could. I became intensely involved again with the new generation of experimental filmmakers around the end of the ’90s and beginning of 2000. We then reached a subject we both wanted to talk about, Bassan’s third and latest film, Lucy en miroir. He is very attached to this film, as it had been shot at a time when experimental film in France was experiencing an important breakthrough and gaining a second wind with the film labs being set up by the new generation of experimental filmmakers. These labs succeeded and completed the co-op movement of the ’70s. I wanted to know, as a filmmaker myself, why this film critic had decided to shoot his film with mainly a crew made up of contributors of the present experimental film scene in France. These people were mainly in their twenties and early thirties, and were all at once actors, filmmakers, critics and distributors. They had discovered the history of experimental film at the French universities in the mid-90s. They were energetic and passionate about the history of this form of cinema, and had decided it was about time something was done so as to become completely independent in their filmmaking process. So, in the ’90s, these experimental film labs – distribution self-help organizations – were born. It was among these currents of labs, initiated in Grenoble in 1992, that a group called Le Cinéma Visuel was formed by Hugo Verlinde and Sébastien Ronceray in 1997. It generated within the form of a lab two other functions: a distribution structure called Braquage and a magazine, Exploding. (7) These structures would cater for what was needed to enable a continuity of independent film production and exposure. Silver film, super 8 and 16mm cameras could be used and developed in locales in Paris and in the suburbs, where filmmakers could meet, share and help one another with their films and production. Workshops were organized to teach other filmmakers. Filmmakers worked on one another’s films, promoting one another’s work and assisting one another in any way they could. They got hold of the equipment they needed wherever they could find it. They screened one another’s films in their locale. Committed activists and adventurous in their approach, ambitious and marginal in the creation of their set-up, they were going to exist whatever it took. I felt that the discovery of these experimental film labs in the late 90s hit Bassan like an earthquake. There was a resonance there of something he had connected with and loved in the ’70s. This was 30 years later, and it was very exciting to see this new experimental film generation of young, autonomous filmmakers producing quite amazing films and thus reviving the notion of experimental film in France. They would be a part of history, a link and continuity to experimental cinema since the very beginning of experiments on filmmaking. How does your film, Lucy en miroir, reflect this movement? A critic, twenty odd years their elder, decided to make an experiment with a film. He created a specific and supported illustration at a particular time of the existence of experimental film by making his film. What is the theme of your film? What gave you the idea for this film? There were a few factors involved in my decision. One of them was that Pip Chodorov came to my house and found the two films that I had made from ’69 to ’71. He wanted to restore them as historic documents. Then Nicole Brenez had programmed them twice at the Cinématheque. A little time before that, I had discovered the experimental film labs, such as L’Etna, Braquage and L’Abominable. The head of L’Abominable, Nicolas Rey, asked me if I had the intention of shooting another film. From 2000, I had already interviewed – mainly in Bref magazine – the young filmmakers of these new experimental film labs. (9) At that point, I called Élodie Imbeau and asked her if she wanted to be in my movie. She had been in several films made by her friends. Élodie was in charge of Braquage. She is a critic, distributor and filmmaker herself. (10) This was decisive for me. Also, I had got quite a bundle of money for being laid-off from Tele 7 Jours and could invest in my film. It seems like you wanted to make a particular kind of film that would allow you to talk about cinema, and particularly experimental cinema, without being a critic. Yes, that is one of the reasons that most of my crew was part of the new experimental cinema generation. Did you know these people very well? Yes and I still do. Having them as a part of my film was a way to get hold of them. This is why I decided to choose some characters who were a very active part of the experimental cinema scene. They all more or less exist. These people were singular in their philosophy. They did not have the desire to go down in history. It wasn’t an issue for them to be talked about in the press. A film critic was not an especially necessary part of their environment at that time. They think differently today. How did you find your cinematographer, Othello Vilgard, his assistant Dominik Lange and your other actress? Élodie Imbeau spoke to me about Othello Vilgard. They were both members of Cinéma Visuel. When I saw his films, I thought this is extraordinary: he films the way the black-and-white films were shot in the ’60s and ’70s. He agreed to be my cinematographer. Later, I was invited to a friend’s wedding. It was being held at Othello’s parents’ place in the country and that’s where in their beautiful park I saw a bench. I said this is where I’m going to shoot my film. I decided to ask Anne-Sophie Brabant and she agreed. She is also a filmmaker. I had seen the wonderful short film she made with her companion Pierre Gerbaux, whose films I respect a lot, in 2002 called My Room le grand canal. She is a member of the lab, L’Abominable. Why two women and the shadow of a man, and how are they representative? I wanted to use two women who would take us through many cinema references: the two actresses strangely looked alike, but that was a mere piece of luck. Jacques Rivette, for example, in L’amour fou (1969), uses people of the theatre to talk about the substance of cinema. I wanted something different; I could not make my male protagonist a director either, as this had already been used as a cinema reference. I had to find something else with no other pre-existing model as a reference. I had seen a documentary on trees. There was an astonishing image of a five-hundred-year-old tree called Mathusalem, and the voice of the narrator in my film describes it. I decided the Jonathan character in my film would be a monomaniac artist. Here, there was no previous reference. Also, I needed to find things that were a stepping-stone towards bringing out other images and other ideas – things on which we can’t really linger too long. So, I used a bench like they do in conceptual art, except very differently here because the idea is not to go towards the essence of the bench. The bench and the space around are like a theatrical scene where I could produce my filmic rituals during that whole year. Did you have a script? That wouldn’t be too in line with experimental filmmaking. There were many elements that I could not control. I shot the film over a year in order to have the four seasons. Nature itself changed, the girls had different hair colours and lengths. For example, when Lucy E. wears a dark dress and coat, Lucy S. wears white or light clothes. The following season it was the opposite. I thought of my film with images, and it was difficult to get a hold of my cinematographer whenever all the others were ready. The list went on … The script changed as the shoot was happening. I had to do short shots because of the 16mm camera we used. But because I had approached it from the basis of structural cinema, whatever the option one takes you always end up landing back on your feet. It is totally reversible. Did you make the film you wanted to? My film is like a sophisticated game: any kind of reading on it is partly good. In a kind of brutal way, I wanted to occupy a particular place; I wanted in a way to rule over the new experimental cinema which did not want any ruler. I wanted to bring everything to my dimension. I was the narrator in the film. My voice was mixed with Jonathan’s [by Gérard Courant]. I remodelled Jonathan from Bram Stoker’s Dracula to suit Raphaël Bassan, film critic and filmmaker. I used the character of Paul (Michel Piccoli) in Godard’s Le Mèpris to suit my own character, Jonathan. I included all the elements I wanted to, and other elements kept adding on, like commentaries, music, the editing of Frederique Devaux. What I wanted to do was to create something open, a kind of visual palindrome, something that could continually be recycled. I have always been interested in experimental film and have always been a fervent believer that the real truth of a film is within the film itself, within its matter. Raphaël had been blown away by the discovery of the new experimental film generation in Paris in 2000 through their film labs. This resonated like a flashback to a time when he was vibrating in a world of high free creativity and a sense of identification and commitment, the ’60s and ’70s. These filmmakers had a closeness to film and the film strip, as he had had with film all his life, since he was that little boy going to the cinema with his parents. His passion was rekindled. There was something here so close to the self, unique in a way, that it seemed to allow the possibility to go on forever, like the form he hoped to create with Lucy en miroir (it could be recycled into other forms or films). By making his film, Bassan now belonged to the new generation of experimental cinema, but he also brought with him the lineage and heritage of the past, simply because he had come from there. He was a part of the page in history, not only the critic who wrote about them but also as filmmaker. He had tied himself to the others, and especially those who were a part of his film, by the physical film matter itself. It was the umbilical cord. Like Jonathan in his film, like Jonathan in Bram Stoker’s novel, Raphaël could be a “fatherly” vampire who would keep experimental filmmaking alive! See cineastes.net’s page on Raphaël Bassan. See cineastes.net’s Raphaël Bassan filmography. On Anton Perich: “MAKE: Blog: Machine paintings by Anton Perich”. Le Départ d’Eurydice is now in the Centre Georges Pompidou’s permanent collections. See Film Literature Index’s search results for “Bassan, Raphael” and calindex.eu’s search results for “BASSAN Raphaël”. 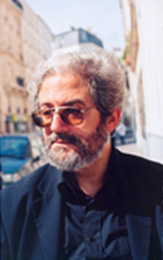 Raphaël Bassan continued writing as a critic on every form of filmmaking and was published in different magazines and newspapers (he has written more than 2000 texts on cinema). He did this not only for a living but also to get credibility as a film critic, enabling him to write on experimental films with other historians and critics such as Dominique Noguez, Nicole Brenez and Christian Lebrat. See the Collectif Jeune Cinéma website. See “Le saviez-vous ?” at cineastes.net. 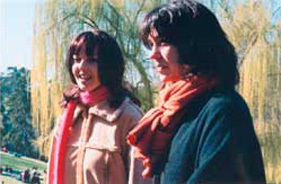 In 1998, two filmmakers of Cinéma Visuel, Hugo Verlinde and Élodie Imbeau, talked about experimental concepts. In 2000, Hugo Verlinde co-founded L’Etna. At the same time, Élodie Imbeau co-founded Braquage. She was also member and editor of Exploding. See cineastes.net’s page on Gérard Courant, and Kaldron’s “Lettriste Pages”’ page on Frédérique Devaux. See “Bref et l’expérimental” at cineastes.net. She works and write under her real name, Élodie Imbeau, but makes her films as Élodie Jane. See the Élodie Jane page on the Braquage website and the IMDB entry for Élodie Imbeau. Viviane Vagh is an artist, filmmaker, theatre director and writer living in Paris.